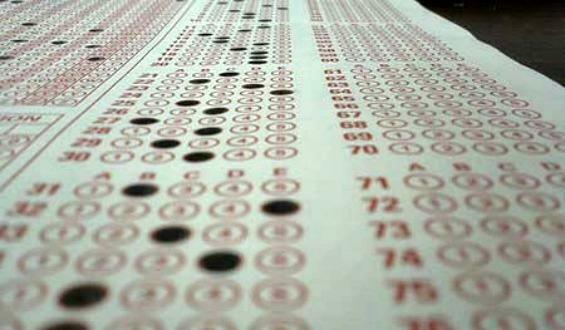 Florida school district officials are writing thousands of new exams to administer to students this school year. The effort to create end-of-course tests in subjects not evaluated at the state level, is causing more parents, and local education officials to call for a time out on testing. Tallahassee mom Elizabeth Overholt is fed up. “It’s a complete mess to start with," she says about the current state of Florida's school accountability system. Governor Rick Scott is taking a victory lap around the state after the legislature okayed $480 million to fund pay raises for teachers and other school employees. While the Governor did not get the across-the-board increases he had sought, in a recorded video statement he thanked the legislature for funding the raises. Governor Rick Scott and the legislature are headed toward a clash over teacher pay raises. 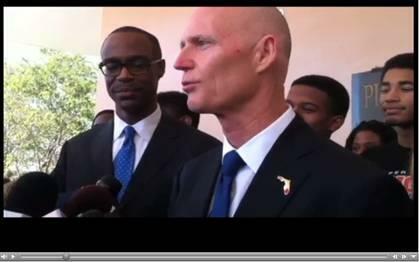 Scott wants full-time teachers to get $2,500 across-the-board raises. But the legislature’s plans only get the Governor part of the way there, and he and teachers aren’t pleased. Senate On Education: Teacher Merit Pay And University Boosts, But No Digital Ed? The Senate has allocated a $1.1 billion increase for education funding and the chamber’s education committee has now presented an outline for how that money will be spent. The Florida Senate has outlined a $1.1 billion spending proposal for K-12th grade education that includes the $480 million Governor Rick Scott has called for to fund teacher pay raises. Scott has said he wants to see every full-time Florida teacher get a salary increase, but the Senate Appropriations Sub-Committee has other ideas. Under an initial outline, the awarding of pay raises will be left to districts which will draw up plans for distributing the money and send those plans to the Florida Department of Education. DOE On Teacher Evaluations: "An Area That Needs Work"
The Florida Department of Education went before a legislative panel Thursday to talk about the state’s new teacher evaluation policies which have been under fire from the state’s largest teachers union. Full-time Florida public school teachers could see their incomes rise later this year if Governor Rick Scott gets his way. The Governor is proposing a $2,500 dollar pay raise, but it has to make it through the legislature first. A Leon County Circuit Court is considering whether a state law dealing with teacher tenure and merit pay is unconstitutional. Teachers and their union say the law violates collective bargaining rights. The focus of this year’s Presidential race has been the economy and which candidate—President Barack Obama or GOP nominee Mitt Romney—is better suited to deal with it. What isn’t making campaign headlines this time around is education. And when it comes to education policy, both men share similar ideas that have been promoted by Florida’s former Governor, Jeb Bush.